There are two memories; each is vague. The first one involves a five-shelf bookcase my dad built for me and painted olive green when I was a young girl. I carefully placed my mail-ordered set of “dolls from around the world” on the third shelf. They were arranged in a way that each could be seen wearing their native costumes. I loved “Japan” and “Scotland” best and they were positioned near the front. The other memory is of a phone call I took, on our party line, from The Peace Corp., when I was probably a junior in high school. I was fascinated to learn how I could live and work in various countries around the world, for I had never considered such a thing. I remember speaking of the call only one time to my family. Their reaction wasn’t demanding or authoritative; it was simply nothing, null and void. I never thought about it again. Well, I did end up thinking about it again, but only after 30 years had passed. This was after I quit playing games. It was after I lost my interest in being successful and collecting possessions. It was after the decline and fall of a marriage or two, and a change of careers. It was after I found my voice again. In time, these two distant memories made their way back to me and I wondered if I’d known all along, in deep recesses of my soul, that I needed to travel and experience other cultures. As I look back over my life, I am grateful, even for the sad chapters, because without those experiences I wouldn’t be where I am today. And today, I’m getting ready to change my life, one more time. Do you have an early childhood memory that forecasted your future? Send me a comment! Tagged doll, memories, phone, The Peace Corp.
My Dad brought me back dolls from the Vietnam War… Dolls are so special to me! What a beautiful post! Mendy! Bless you for reading! Yes, we girls and our dolls. 🙂 Do you still have the Vietnam dolls? I’d love to see them! I too had a collection of dolls from around the world! They were a gift from my aunt and uncle who traveled. I haven’t thought about them in forever. Thanks for the reminder. Jimmie!!! Thank you! Do you still have your collection? I may have a few of the dolls left, but if so, they are up in the attic at my parent’s house. Did you have “favorites” like I did? I cannot tell you how much your comment pleased me. Thank you for your kind words and encouragement. 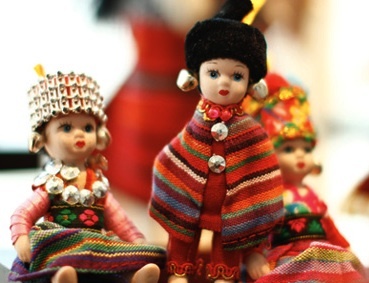 There were 12 dolls in the collection, but very few still exist, sadly. I do hope you’ll be interested in following my blog.